Some crocodilians 1 bait birds by putting nest-worthy twigs on their snouts. When a bird flies down to pick up the twigs, the crocodilian lunges up and eats it. Crocodilians use gastroliths for digestion and maybe also for buoyancy and balance. 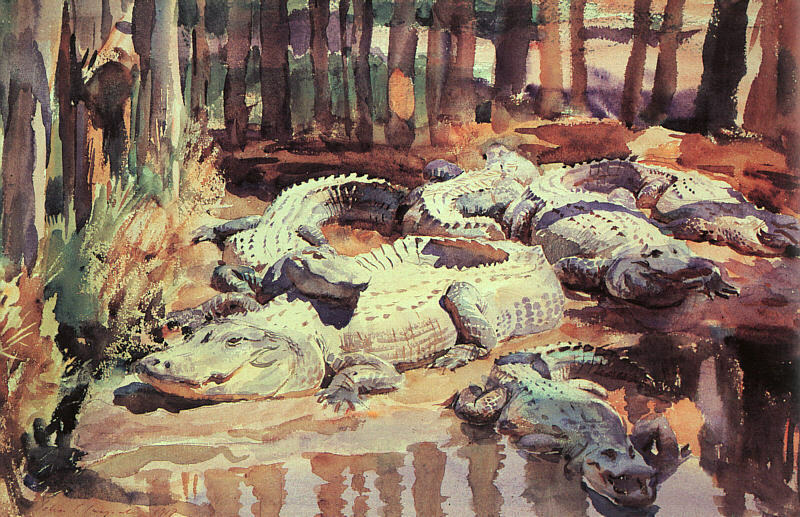 O.crocodilia contains three families: f.gavialidae, the gharials and false gharials; f.alligatoridae, the alligators and caimans; and f.crocodylidae, the crocodiles.